Raw sockets allow a program or application to provide custom headers for the specific protocol(tcp ip) which are otherwise provided by the kernel/os network stack. In more simple terms its for adding custom headers instead of headers provided by the underlying operating system. Raw socket support is available natively in the socket api in linux. This is different from windows where it is absent (it became available in windows 2000/xp/xp sp1 but was removed later). Although raw sockets dont find much use in common networking applications, they are used widely in applications related to network security. In this article we are going to create raw tcp/ip packets. For this we need to know how to make proper ip header and tcp headers. A packet = Ip header + Tcp header + data. So lets have a look at the structures. Every single number is 1 bit. So for example the Version field is 4 bit. The header must be constructed exactly like shown. To create raw socket, the program must have root privileges on the system. For example on ubuntu run the program with sudo. The above example creates a raw socket of type IPPROTO_RAW which is a raw IP packet. Means that we provide everything including the ip header. Once the socket is created, next thing is to create and construct the packet that is to be send out. 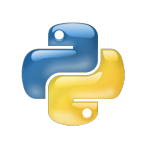 C like structures are not available in python, therefore the functions called pack and unpack have to be used to create the packet in the structure specified above. Now ip_header has the data for the ip header. Now the usage of pack function, it packs some values has bytes, some as 16bit fields and some as 32 bit fields. The construction of the tcp header is similar to the ip header. The tcp header has a field called checksum which needs to be filled in correctly. A pseudo header is constructed to compute the checksum. The checksum is calculated over the tcp header along with the data. Checksum is necessary to detect errors in the transmission on the receiver side. Run the above program from the terminal and check the network traffic using a packet sniffer like wireshark. It should show the packet. Raw sockets find application in the field of network security. The above example can be used to code a tcp syn flood program. Syn flood programs are used in Dos attacks. Raw sockets are also used to code packet sniffers, port scanners etc. How can I doing something similar to replicate an ICMP ping request? I was just wondering is you can suggest or point me to an example which uses python classes to achieve the same objective. I’ve seen a lot of sniffers take advantage of classes, but no example of sending packets. The spoofed ip dosnt show up on wireshark. code with a monkey I did not like. OK, let’s try the code tag. followed by a bitwise complement. The original code is buggy. 1) It fails to prevent an indexing error for odd length messages. 2) It fails to consistently compute the checksum for very long messages. 3) Its ‘ones complement’ is an integer signed ones complement, not an unsigned binary complement. was the necessity of administrator privilege for creating this socket. why do you compute the checksum yourself when in your comments you state that the kernel does this for us? I am trying to captures these packets in wireshark after running the above code by putting the filet ip.src == 192.168.1.101. But I don’t see any packets. I changed the destination address in the above code to my PC IP address. I executed this code. I changed the destination IP to my system IP. I’m trying to capture packets in wireshark by filtering ip.src ==192.168.1.101 but I’m not receiving any packets. Is it possible to send ICMP using the same socket? OR do we need to replace IPPROTO_RAW with IPPROTO_ICMP_TCP? Also is it the same way we receive the raw socket? Why does the Ethernet frame not have any MAC addresses? I thought the kernel handled all of the ethernet headers. where is the mac address missing ? In the packets send out by the python program ? I was sending it to loopback and the kernel doesnt add a mac since it doesnt go through a nic. My mistake. What is the rule of ! in pact like BBH4S ? How could we define one ? thanks . How to define flag for ip header ? for example flag for “more fragment” . thanks . This is great man.thanks. It could be use in making firewalls crazy :) . modern firewalls are very well configured. they would even block a host that sends too many invalid packets. How to use UDP Raw Socket? How to use UDP Raw Socket in Python?